Dimensions 1.25 by 8.75 by 10.50 in. About: The clear and practical writing of Educational Research: Planning, Conducting, and Evaluating Quantitative and Qualitative Research has made this book a favorite. 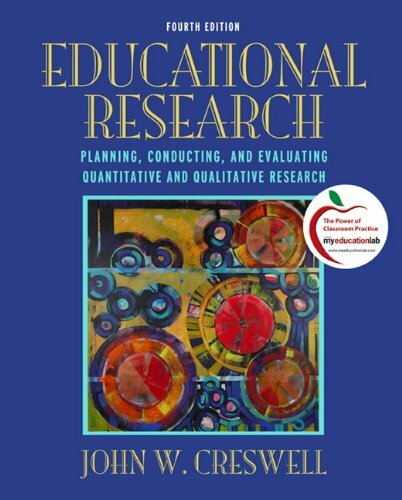 About: Educational Research: Planning, Conducting, and Evaluating Quantitative and Qualitative Research, third edition, is appropriate for courses in Introduction to Educational Research. About: This is the only introduction to offer balanced, inclusive, integrated treatment of educational research. About: This groundbreaking book is the first introduction of its kind to offer a balanced, inclusive, and integrated overview in the field of educational research. About: The Third Edition of "Educational Research" includes an extensive guide on: planning, conducting, and evaluating both quantitative and qualitative research.